In 1833 the younger poet and dandy Alfred de Musset met the novelist George Sand and both fall passionately in love. On seeing Sand, the nom de plume of Amandine-Aurore-Lucile Dudevant, long after their love affair ended, he writes a fervent poem of loss, longing and yearning, remembering their tumultuous relationship and epistolary liaison. 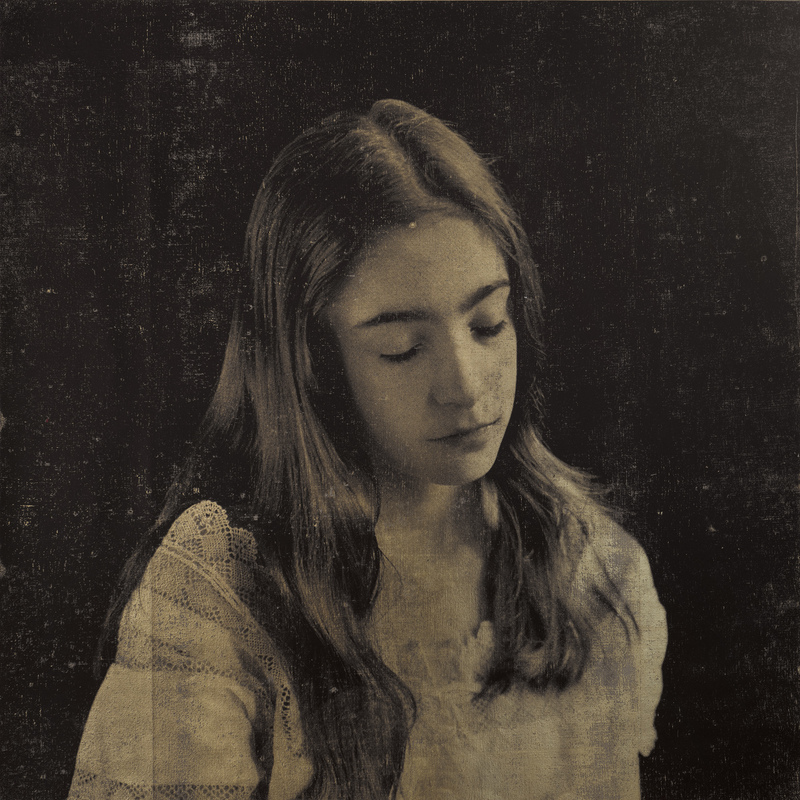 My heart, still full of her is the title of Polixeni Papapetrou’s new series of silkscreen photographs with their glowing halo of gold and silver. These images disavow history, mysteriously halting time, while closely observing a familiar subject matter over an extended period: the artist and her daughter Olympia. Papapetrou conjugates the photographic with the maternal in a suite of sombre yet luminous silkscreened portrait depictions. Here, mother and daughter are almost interchangeable revealing their profoundly intimate relationship. Highly attuned and watchful, Papapetrou’s unembellished style possesses an unequivocal intensity and familiarity.